Click here to read all my SUS posts. Trading updates issued during May and August had already signalled these six-month headline figures would be quite satisfactory. The H1 statement showed revenue up 18%, operating profit up 22% and the dividend up 14%. The performance was supported almost entirely by SUS’s car-loan division — Advantage Finance — which appears set to report its 19th consecutive year of growth. Long-time boss Anthony Coombs claimed the group’s “long-standing record of sustainable growth, responsible and selective lending and customer service” had continued to “gain its just reward”. Certainly the “selective lending” remains in place. During the half, SUS received some 510,000 applications for a used-car loan, of which only 11,822 (2.3%) were approved by the firm and accepted by the borrower. Last year SUS issued 24,518 new loans (12,542 during H1) and the current year seems very unlikely to repeat that feat. Anyway, active customer accounts advanced 3,529 to 58,008 during the six months, while the year-end book value of the associated loans climbed £12m to £263m. I have mentioned for some time now that SUS’s recent expansion has been accompanied by greater bad-debt provisions. The ‘Loan loss provisioning charge — motor finance’ jumped 32% for the half year — much more than the aforementioned 18% revenue gain. The latest ratios remain the highest since 2013. I should add that the new accounting rule has no net effect on reported profit, and it was not SUS’s decision to implement the new accounting either. You see, the current year won’t see a proper like-for-like impairment comparison — the revenue and write-off figures for last year have not been restated. I detected a slight change to the tone of Mr Coombs’ comments. The implication here is that the economy is now more likely to turn down than up. The proportion was 91% at the end of 2016. The general shape of SUS’s accounts has not changed. The aforementioned bookkeeping re-jig meant the first-half operating margin improved from 41% to 42%. As usual, such high profitability is required to generate an acceptable return on the equity that supports the business. 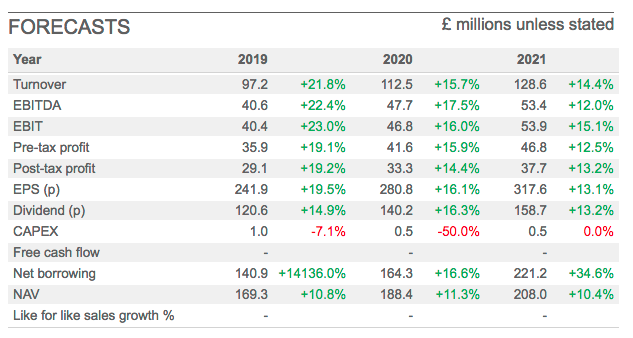 For this H1 2019 and the preceding H2 2018, I reckon SUS earned a respectable 17% (£26m) return on the average £149m of equity employed throughout the twelve months. However, the 17% return was aided by substantial debt — net borrowings increased by £16m to £121m during the six months — and adjusting my sums for the loans and associated interest reduces the result to a modest 12% (£29m/£250m). The blue line tracks the return on capital figure for the Advantage subsidiary, and the accompanying small-print admits the declining ROCE reflects “as higher-quality business… runs off” and the “loss of insurance income since July 2015”. I presume the difference between the 15% shown in the slide and my 12% guess is due to me using the overall group numbers, which include extra central costs (such as director wages) and the fledgling property-loan operation, and applying tax. Elsewhere in the accounts, SUS’s cash flow continues to be relatively straightforward. Earnings of £14m and extra debt of £16m went towards injecting a net £21m into new customer loans, allowed £7m to be paid as dividends, and left £2m over for everything else. SUS’s cost of borrowing remains reasonable at 3.8% and interest payments are covered well at almost nine times. I estimate outstanding motor loans of £263m can convert into near-term revenue of £89m, which in turn can convert into a £37m operating profit after assuming a 26.2% loan-loss provision, 20% other cost of sales and 12.5% admin expenses. Taxed at the standard 19% UK rate, potential operating earnings could therefore be £30m or 246p per share. Adding net debt of £121m to the £300m market cap (at 2,500p per share) gives an enterprise value (EV) of £421m, or 3,512p per share. The P/E based on my EV and earnings guess is therefore 3,512p/246p = 14.2. 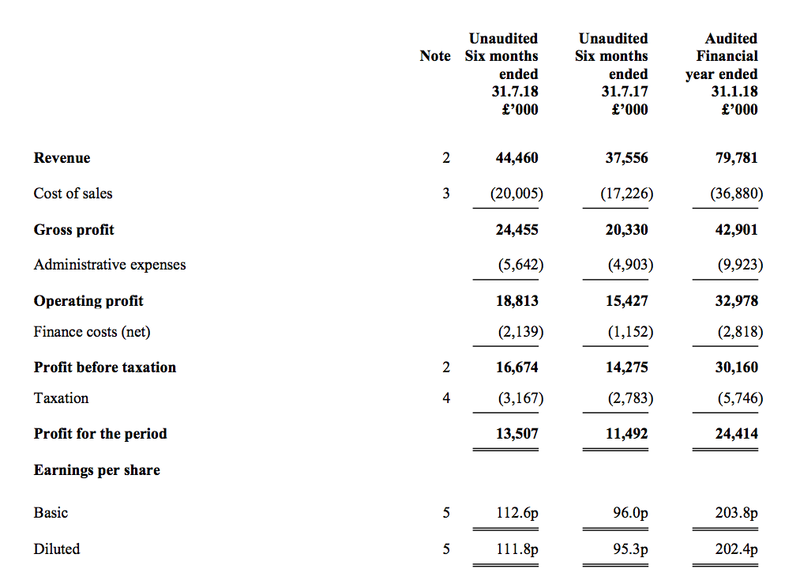 Meanwhile, the 109p per share trailing dividend supports a 4.4% income. True, the valuation does not appear outrageous given SUS’s earnings doubled between 2015 and 2018 and have just advanced a further 17% during this first half. That said, the elevated impairment levels and that “late stage in the economic cycle” comment are hard to ignore. I still believe the stock market may have trouble applying a much higher multiple to SUS’s earnings until the bad-loan provision starts to moderate. In the meantime, shareholders can only trust the seasoned Mr Coombs — he has been in charge of SUS for almost 20 years — has everything under control. Let’s not forget that Mr Coombs stewards a 45%/£134m shareholding for his wider family and, to date at least, has not exposed that investment to great risk. PPS: You can now receive my Blog posts through an occasional e-mail newsletter. Click here for details. S&U plc, the specialist motor finance and bridging lender, announces its trading update for the period from 1st August to 6th December 2018. Irrespective of recent economic and political uncertainty, S&U is pleased to confirm that current trading indicates full year results broadly in line with expectations. Although recent months have seen a slowdown in the motor industry compared to the highs of recent years, the impact on the used car finance market in which S&U operates has been less marked. Nevertheless, a combination of the slight reduction in the record level of loan applications seen in July, Advantage’s prudently tightened under-writing and some recent increase in competitive pressure, has seen new loan agreements in the year to date at 18,710. Whilst 7% less than last year, these are still the second highest volumes in Advantage’s history by a comfortable margin. Both Advantage’s customer base and current net receivables continue to grow and, while at a slower rate than previously anticipated, they are both at record levels. The former now stands at 59,000 and the latter at £267m. The quality of this book remains high, as evidenced by the year to date risk adjusted yield against average monthly receivables of 25.0% against 25.4% in July. Year to date monthly collections are 18% up on last year at just under £115m and are beginning to evidence the improvement in new customer quality on which our under-writing policy is focussed. All this is consistent with maintaining Advantage’s return on capital employed before cost of funds at around its current level of 15.0% (July 18: 15.4%). As a result, Advantage remains well placed to take advantage of an upturn in the motor finance market when consumer confidence improves. As we announced recently, Aspen Bridging has made good progress and has now moved out of its pilot stage. Its loan book has now reached £18m of net receivables (2017: £9m). In a competitive market it continues to maintain margins and refine its flexible and bespoke bridging products. In particular, its stepped products have proved both popular and profitable and this has been reflected in Aspen’s good repayments profile. We anticipate increasing our total investment in Aspen to c.£30m in 2019 and further funding will be dependent on Aspen’s requirements and performance. 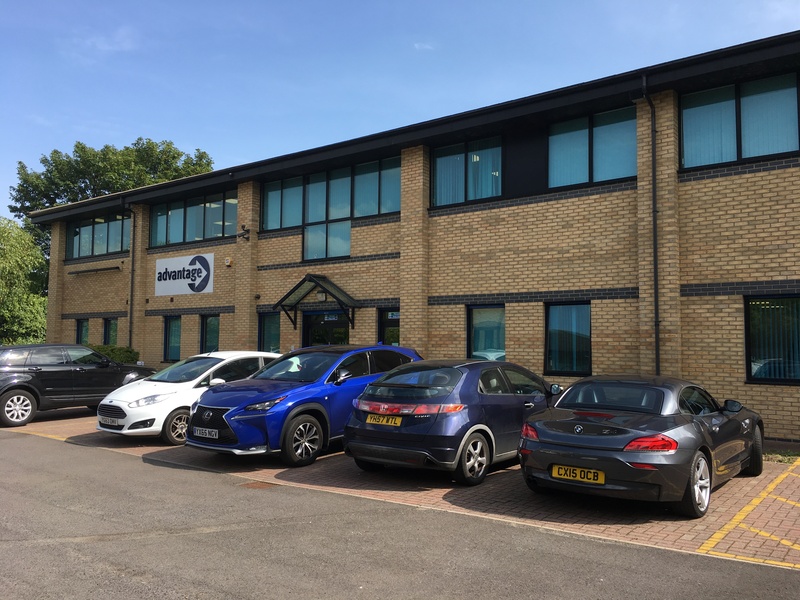 Since the recent economic climate and trends within the business have seen the Group become more cash generative, S&U’s current committed facilities of £135m provide ample and sensible headroom for the business’s anticipated growth. Further facilities will be put in place as required. Growth at the motor division appears to have slowed notably. My Blog post above refers to 58,008 active motor-finance customers and associated loans of £263m at the end of July. During the last four months, an extra 1,000 or so accounts and £4m of loans have been added. Also, the risk-adjusted yield and return on capital employed have both dipped 0.4 percentage points to 25.0% and 15.0% respectively. That suggests further progress is out of the group’s hands, which is not great. All told, the next set of (full-year) results, due in March, may not show much progress during the second half. The loan-provision ratio will be particularly interesting (hopefully not in a bad way) I will await those numbers before adjusting my valuation sums. I note the yield on the £21 shares is now more than 5%. Fellow ShareSoc Masterclass panellist Graham Neary has published a podcast in which he spoke to SUS chairman Anthony Coombs. The interview is well worth 25 minutes of your time. Plus, SUS hosted a City analyst day at the main motor-loan division during October. Here are the slides. S&U plc, the specialist motor finance and property bridging lender, today issues a trading update for the period from its trading statement of 7 December 2018 to the Group’s year end on 31 January 2019. Trading remains satisfactory and full year results are in line with consensus expectations, despite current political and consumer uncertainties. S&U’s final results will be announced on the 26 March 2019. Advantage Finance, our motor finance subsidiary continues to produce record profits despite greater competitive conditions and the seasonal slowdown in the motor finance market being more pronounced than usual this year. The number of new Advantage finance agreements for the financial year are still at their second highest ever level and applications for motor finance remain strong. Debt quality is consistent with, and beginning to respond to, the underwriting changes made earlier in the year and monthly collections in January exceeded £12m for the first time. 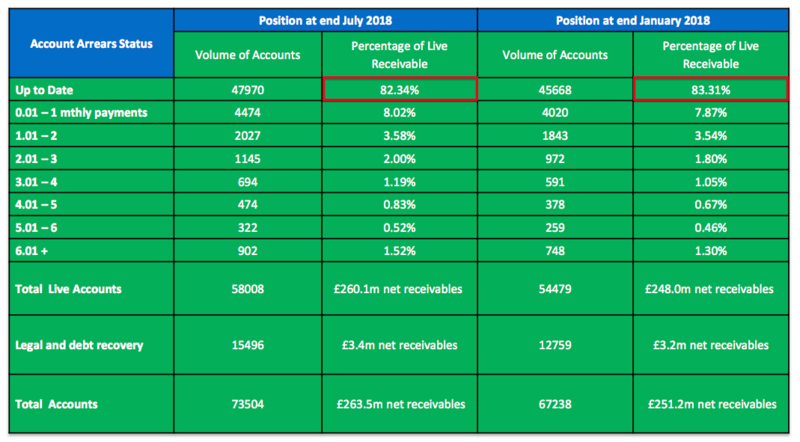 Following the slower recent transaction levels, net motor finance receivables at year end were c.4% up on last year whilst total “live” accounts are up 9% on last year at just over 59,000. Used car values and volumes, including those of modern diesel vehicles, continue to outperform the new market both in the franchise dealer and independent retailer sectors. This, coupled with further investment in Advantage products and distribution systems, should provide a firm base of demand for renewed growth in transactions for Advantage in the coming year. Aspen, our new Solihull based property bridging operation, continues to make good progress. Aspen bridging loan net receivables currently stand at just over £18.0m against £11.2m last year, and the current flow of illustrations is very encouraging. Equally as important, an updated suite of products and resulting payment profile have seen new agreement gross margins slightly higher than budget, without any impact on LTVs. Aspen’s repayment record is also creditable with 43 repayments so far from the 97 loan facilities underwritten to date. As a result, Aspen is expected to make a useful contribution to Group profits this year and justify the investment planned for it. The pause in the previously rapid rate of growth at Advantage combined with budgeted expansion at Aspen has seen Group borrowing reduce from £118m to £108m during this period, compared to £105m last year. S&U’s current facilities of £135m provide sensible headroom for expected growth and additional facilities will be put in place as required. The Group’s consistent profit record and a prudent view of the future have led the Board to approve a second interim dividend this year of 35p per ordinary share (2017:32p). This will be payable on the 15 March 2019 to shareholders on the share register on 22 February 2019. Including the 32p per share paid in November, our first two dividends of the year will therefore total 67p against 60p last year and 36p four years ago. This steady and sustainable approach to rewarding shareholders is underpinned by an anticipated return to twice dividend cover for the full year. “Debt quality is consistent with, and beginning to respond to, the underwriting changes made earlier in the year and monthly collections” — sounds promising. SUS had previously signalled “selective lending” had been implemented to keep a lid on rising bad debts. Up 4% equates to net motor finance receivables of £261m, which is less than the £267m cited with December’s trading update and the £263m declared at the half year. With outstanding customer loans at a standstill, near-term revenue and earnings could stagnate as well, unless the level of bad debt reduces to improve margins. Aspen is expected to make a useful contribution to Group profits this year and justify the investment planned for it — sounds promising. A “useful contribution” suggests the division’s second-half profit may be significantly greater than the £279k pre-tax profit scored during the first half. Debt was £121m at the half year, which means the second half has seen debt reduce by 11% even though outstanding customer loans have remained steady-ish. SUS therefore appears to be paying off debt rather than lending extra money out, which seems a sensible strategy if the quality of loan applicants has deteriorated. Nice to see a respectable dividend lift, too. I shall re-assess my valuation sums when the results are published during March.